Theatre includes: Hedda Gabler (National Theatre UK tour), Man and Superman (National Theatre), The Importance of Being Earnest (Harold Pinter Theatre), Albert Speer (National Theatre), The Liar (Old Vic), The Rehearsal (Almeida and Garrick), Basket Case (Northampton Royal Derngate), A Doll’s House (Lyric, Belfast), Macbeth (RSC), Hamlet (Nottingham Playhouse), All My Sons (Redgrave Theatre), The Revengers Comedies (Scarborough), Last Easter (Birmingham Rep), Much Ado About Nothing (RSC), She Stoops to Conquer (Oxford Playhouse), Travesties (Oxford Playhouse), The Rivals (York Theatre Royal). Television includes: Vera (ITV), Titanic (ITV), Room with a View (ITV), A Very British Coup (Skreba Films), The Blackheath Poisonings (Central Films), Catherine Cookson/The Glass Virgin (Festival film and ITV), Chimera (Zenith Films), Drop the Dead Donkey (Hat Trick/Channel 4), Frank Stubbs (Noel Gay TV), In His Life the John Lennon Story (NBC), Inspector Lynley (BBC), Inspector Morse (Channel 4), Island Gardens (BBC), Doctors(BBC), Jonathan Creek (BBC), Manchild (BBC), Minder (Thames TV), Ruth Rendell Mysteries - May and June, Ruth Rendell Mysteries - No crying he makes (TVS), Seaforth (BBC), Sleeper (BBC), The Bretts (Central TV), Return of Sherlock Holmes (Tiger Aspect), Agony Too (BBC), Material Girl (Carnival Films), The Saint (D L Taffner), Doctor Who (BBC), The Sleeper, Underbelly (BBC Initial films). Film Includes: Man and Superman NT Live (National Theatre). 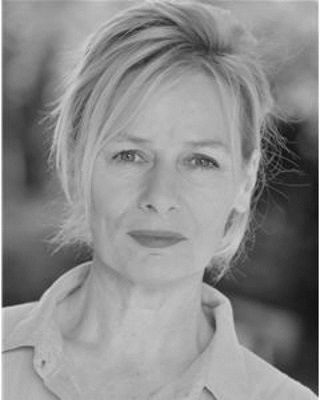 Christine has worked extensively in radio, including Home Front, I Claudius, and Charles Paris for BBC radio four, member of the BBC radio drama company, and narrates audio books.